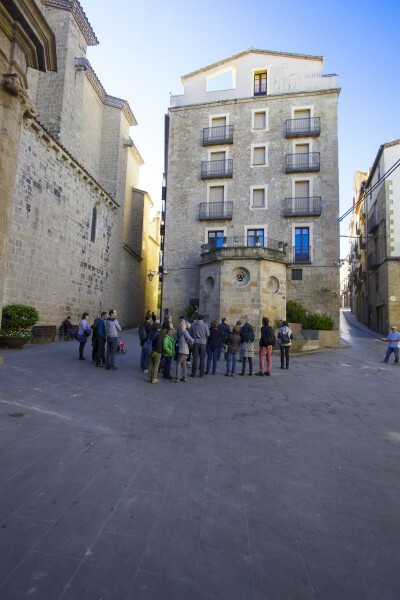 Solsona is the capital of the area called El Solsonès and still retains today the charm and character which are the main attractions of its rich, historic and cultural heritage. 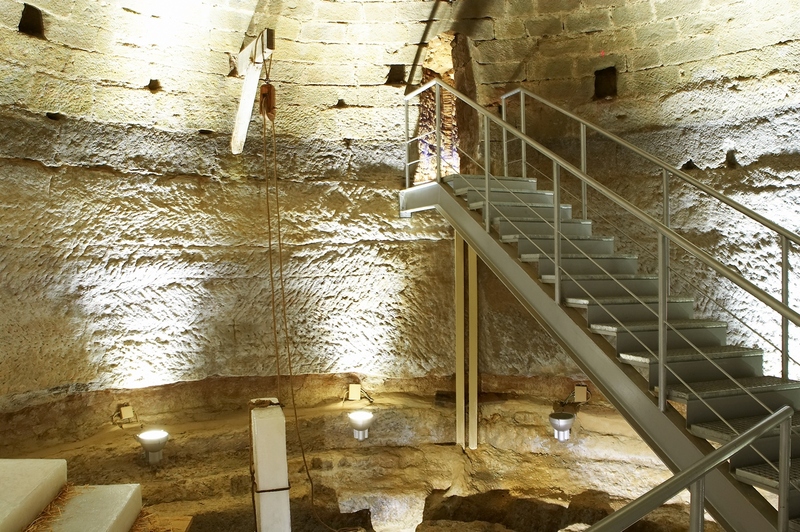 The first settlements date back to the Neolithic period, but the origin of the present town is in the 10th century when two areas grew around the castle and around the monastery until they merged. 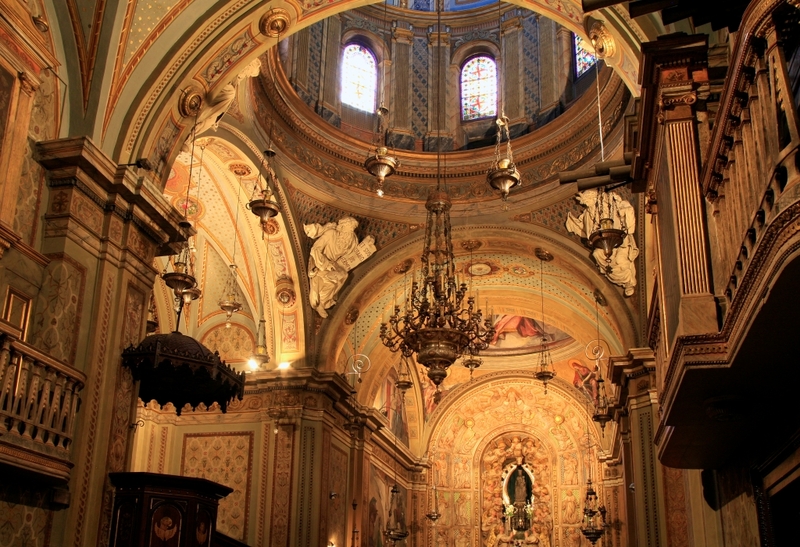 The bishopric of Solsona was created in 1593 and one year later Solsona was granted the title of “city”. 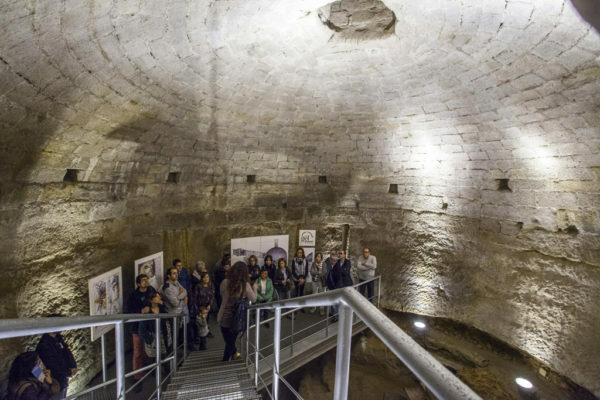 It preserves the shape of the old walled medieval town and still preserves three gates to enter the old quarter, one is the Portal del Pont, another is the Castell and the other is the Llobera gateway. 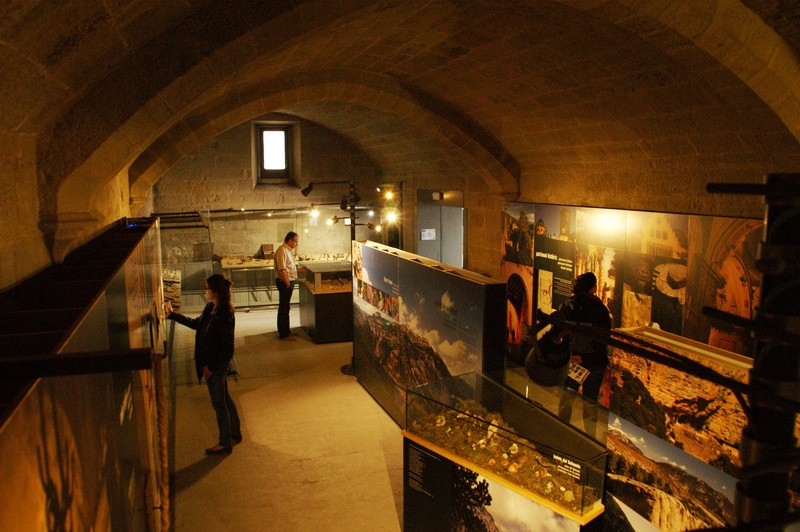 We can still see parts of the walls and the Pou de gel where ice was produced, stored and sold. The Episcopal Palace is a neoclassic building that houses the museum with Romanesque, Gothic, and Renaissance art as well as salt sculptures from the Cardona’s mines. Take your time to visit the town, enjoying its squares like Sant Joan´s, buildings such as the town hall, the Llobera Palace which is a typical Catalan building from the 16th c. etc. Many of the streets in the centre have the name of a saint, where as others have kept the old name according to the social function they fulfilled. One such street is Terceries the name which was given to butchers’. Llices Street is where the medieval games and tournaments were celebrated. Regata Street is where the water vas directed from the fountain in order to irrigate the vegetable gardens outside the city walls. In many places if you look up, you will be able to see carved wooden heads in the beams under the roofs of the houses. You can also see the supports for the wooden sticks which lit up the city streets. Solsona’s folklore stands out for its majesly and artistic quality, intimately linked to Solsona’s artist, Manel Casserras, specialized in the manufacture of giants. 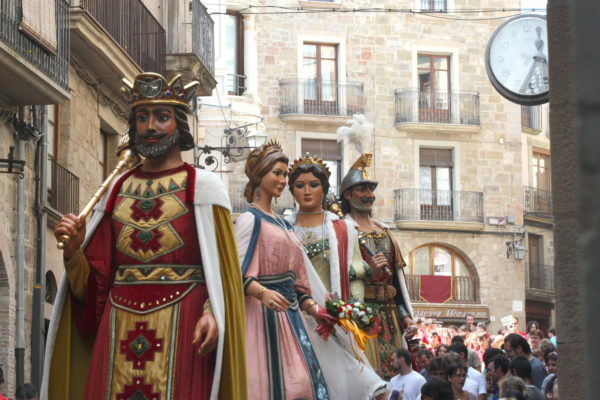 In 2008, the main festival, called Festa Major, became an acknowledged festival of national interest. This celebration is dedicated to the patron virgin of Solsona, the Mare de Déu del Claustre. 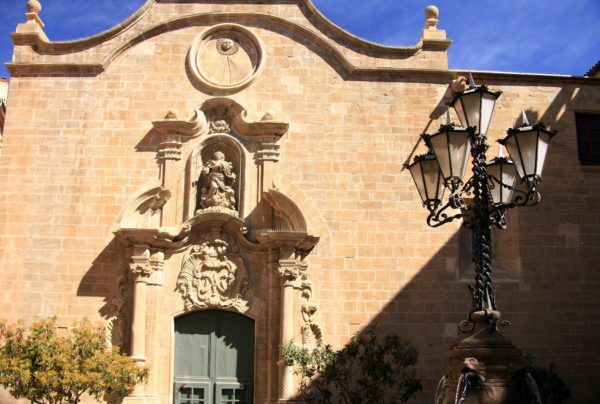 It started in 1653 and nowadays, the main structure and the location has been kept, as in the 17th century, in the heart of the old town. 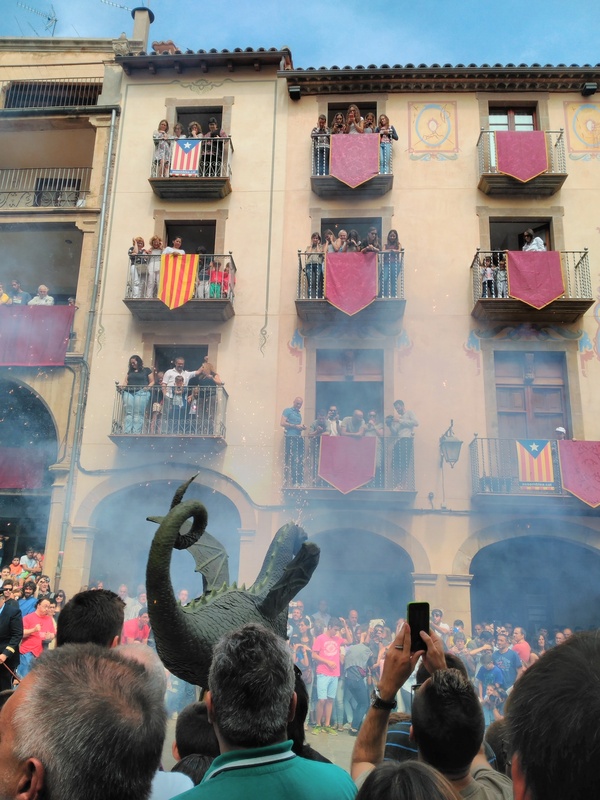 The main days are the 8th and the 9th of September when the giants, the little horses, the eagle, the dragon and other folkloric characters, come out onto the old town streets. 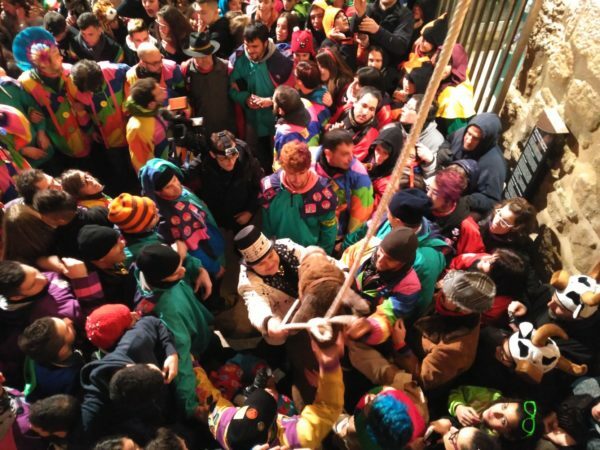 Another important element of Solsona’s folklore are the “trabucaires“, men wearing a Catalan costume and shooting their blunderbuss in the air noisily. 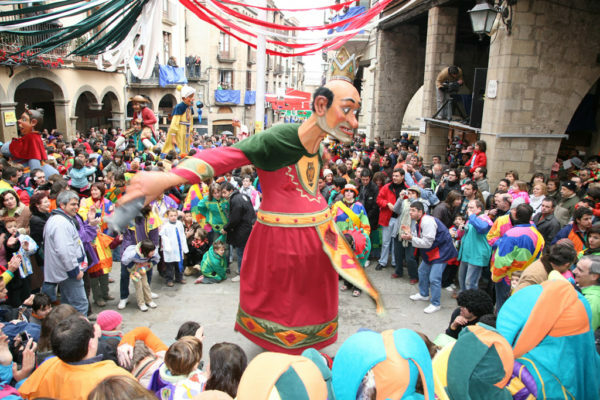 Another important celebration is the Carnival, which was declared a celebration of national tourist interest in 1983. The typical carnival fancy dresses have been replaced here by colourful blouses. 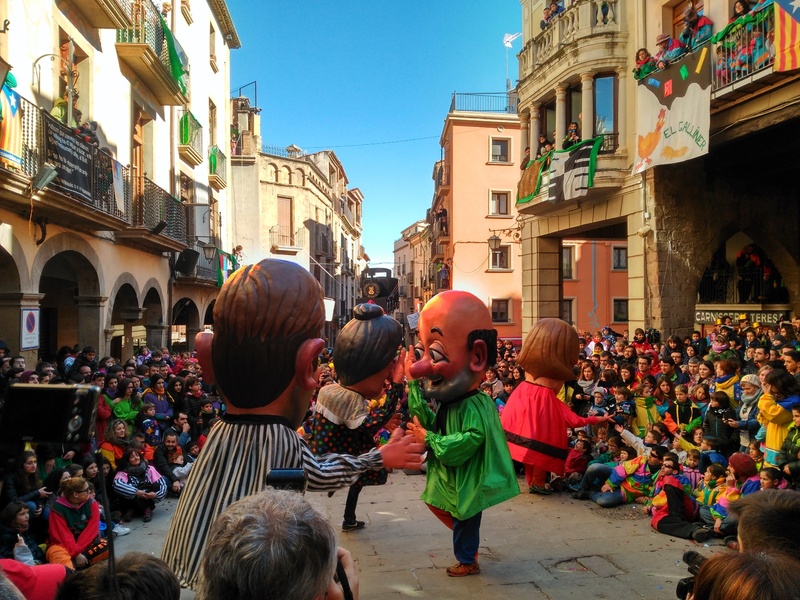 The “gegants bojos” (crazy giants), the h anging of the donkey and the satiric speech are some of the most peculiar elements of Solsona’s carnival.